Pioneering pop/jazz band Steely Dan, formed by Donald Fagen and Walter Becker in the early 70's, had already secured five U.S Top 40 albums before the release of Aja in 1977. Aja, however, was to prove to be the biggest selling album of Steely Dan's illustrious career, reached Number 3 in the U.S. Billboard chart, spending a year in the Top 40 there, and also reaching number 5 in the U.K.
Aja was the first British Top 10 hit for Steely Dan and also the first album by Becker and Fagen as a duo. Becker and Fagen, renowned for their relentless perfectionism in the recording studios, recall the history of an album that was a year in the making, but rewarded by a prestigious Grammy Award and three major hit singles, Peg, Deacon Blues and Josie. Michael McDonald, later of the Doobie Brothers, who did guest backing vocals on Aja, British rock performer and songwriter Ian Dury, record producer Gary Katz, and the legendary session musicians who worked on Aja, also contribute to this fascinating documentary. 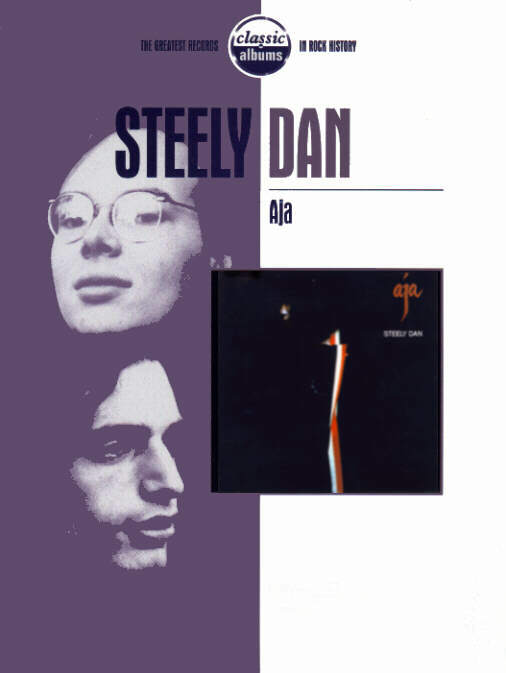 Steely Dan's Aja has proved to be one of the most outstanding jazz-rock albums in the history of popular music. This is a vivid portrait of a 70's record that is still as fresh and as memorable more than two decades after its release, a true Classic Album. © Classic Albums Series 2 Ltd. / Steely Dan Inc.